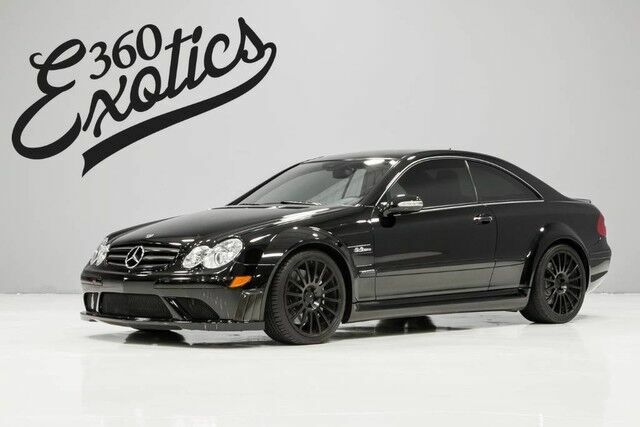 360 Exotics is proud to offer this extremely rare CLK63 Black Series. At the time this car features some of the most advanced tech that had ever been used for a street car that came straight from formula 1. The team at AMG took a standard CLK chassis and made it lower, wider, more lightweight, and more powerful to turn it into one of the most aggressive roads going cars built to date. The team at AMG outfitted it with a hand built 507 hp V8 paired to a 7-speed automatic transmission that produces 468 tire melting lb-feet of torque. To make it lighter they used carbon fiber everywhere (something not done on many streetcars in 2008) and deleted the rear seats among other things to shed over 100 lbs to make this beast as light as possible. Mercedes only brought 350 of these beats to the US and they were scooped up immediately as most were actually purchased for over the $135,000.00 price tag. The Black series will only increase in value for the future making it a nice addition to any collection as this 14k miles example is sure to be one of the nicest examples available.